A native of Carlow (Ireland) Yvonne began her studies at the Cork School of Music. Yvonne later moved to England to study with two internationally renowned pianists, the Irish pianist/composer, Philip Martin and Italian pianist, Victor San Giorgio at the Birmingham Conservatoire where she graduated with a Post-Graduate Diploma in Piano Performance and a Master of Arts in Piano Performance. Alan Schiller (In 1961 he became the first British pianist to win a scholarship to study at the Moscow Conservatoire). One of Yvonne’s earliest achievements was playing piano for the first televised performance of the well-known Irish rugby song “Ireland’s Call” whilst in secondary school with the Irish Rugby Team for BBC Wales more than a month before it’s launch on The Late Late Show in 1996. A highlight has been the invitation to perform the Grieg Piano Concerto at the Proms in Cork with the Cork School of Music Symphony Orchestra in 1999. In 2000, she was invited to give the inaugural performance on the new model D Steinway in Kilkenny where she shared a concert with Irish soprano, Cara O’Sullivan. Since then Yvonne has performed across Ireland and the UK and also in Hungary, Germany, USA and Canada. In July 2006 Yvonne was invited to participate in the Birmingham International Piano Academy in the UK under scholarship. At the Academy she won the prestigious Birmingham International Piano Academy Concerto Competition and was invited to perform the Mozart Piano Concerto in A Major No, 23, KV 488 with the Queens Park Sinfonia in Birmingham. Other concerto appearances include a performance of Tchaikovsky’s Piano Concerto in Bb with the Wexford Sinfonia under the baton of conductor Fergus Sheil. It was with a performance of this concerto that she won the Hamilton Harty Concerto competition in the Feis Ceoil in Dublin. She has given a live performance on Radio One’s “Rattlebag” and has been broadcast on Lyric FM. Television appearances include “Nationwide“, The Late Late Show” (the longest running talk show in the world), “The Late Late Toy Show”, “RTE School Choir Of The Year Competition” and “Feilte” on TG4. In 2007 Yvonne was invited to join the Cork Youth Orchestra on their ‘Brendan Voyage’ tour of Italy as part of the International Festival of Youth Orchestras playing in Florence, San Gimignano, and Montecatini. Yvonne also enjoys performing two piano works and performed in the World Premier of an arrangement of ‘Deep River’ by Alan Cutts for 2 pianos, male voice choir and solo tenor. She has also performed Saint Saens Carnival of the Animals with Wexford Sinfonia and the Cork School of Music Chamber Ensemble. With her colleague Ruth Stanley she won the ‘Trimble Cup’ for two pianos at the Feis Ceoil in Dublin. More recently she participated in a two piano masterclass with internationally acclaimed duo Hui and Kuok from China. More recently in 2015 she has just performed the magnificent Carmina Burana for 2 pianos, percussion and choir. Yvonne also undertakes much Repetiteur work and was part of the specially commissioned opera for Carlow – “Shelter Me FromThe Rain” by Irish composer Brian Irvine performed in the GB Shaw Theatre in Carlow, Ireland where she featured as guest player with the National Symphony Orchestra of Ireland. This Opera won the Allianz Business to Arts Award surpassing Irish band U2’s ‘Musical Education Initiative’. Even more recently she performed again with members of the National Symphony Orchestra for the Irish Premiere of Leonard Bernstein’s Mass with the Aspiro choir in Carlow, Ireland. In the summer of 2012 she was based in Belfast where she worked as Repetiteur with Northern Ireland Opera on 5 short Operas under conductor Fergus Sheil and performed these both in Belfast and also in the Queen Elizabeth Hall, London as part of the London 2012 Cultural Olympiad. She also worked on Britten’s Noah’s Flood as part of the London 2012 festival culminating in several outdoor performances of the opera in Belfast Zoo. This production then travelled to China. In 2014 Yvonne worked as Repetiteur with Ireland’s newest and already renowned opera company, Wide Open Opera on their production of ‘The Oldest Woman in Limerick’. In 2016 Yvonne worked with the Lismore Opera Festival on their production of Mozart’s Cossi Fan Tutte. She has been a regular performer with the choir over the years and has worked on some of their recordings including their concert with Irish singer Daniel O’Donnell. 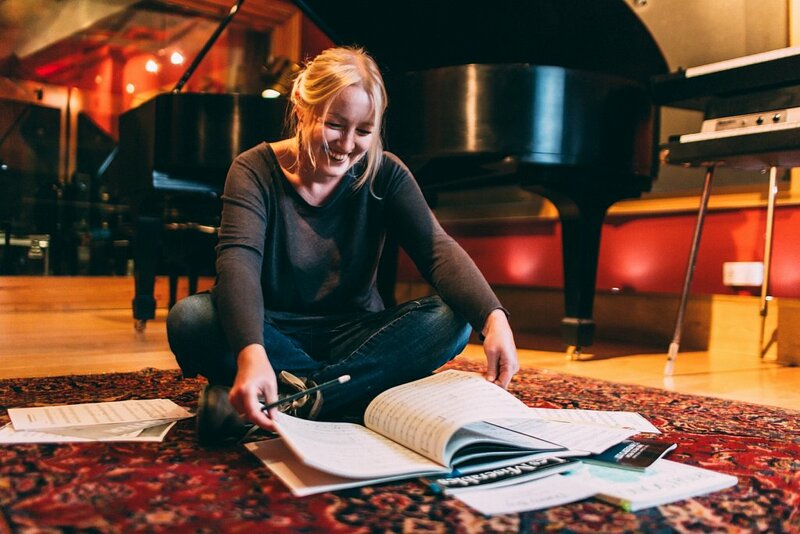 in In 2017 she is working with renowned Irish composer Sue Furlong on a concert dedicated to her compositions featuring many world premier performances for choir and piano under conductor Liam Bates. Yvonne also enjoys working with Musical Societies and has worked with the Rathmines & Rathgar Musical Society (Dublin), Wexford Light Opera Society (Wexford), Oyster Lane Musical Society (Wexford), New Ross Musical Society (Wexford), Enniscorthy Musical Society (Wexford), Carnew Musical Society (Wicklow), Kilkenny Musical Society (Kilkenny) and has worked on numerous school productions. Toured with the Irish Sopranos (Made their Carnegie Hall debut in 2004). 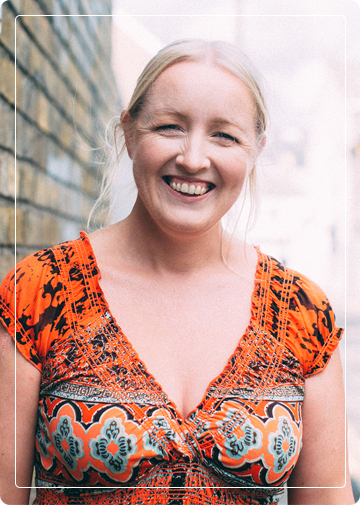 Yvonne has worked with as a piano tutor to Irish actress Saoirse Ronan on Neil Jordan’s film Byzantium which resulted in Yvonne being featured on both local and national newspapers in Ireland and the UK and also being interviewed on the John Murray Radio Show on RTE Radio One. SAOIRSE Ronan is scaling new heights with note perfect preparations for her latest role. The young star has confounded musical experts by learning to play a complicated Beethoven piano sonata in just 12 weeks, despite having never played the instrument before. The 17-year-old also stunned director Neil Jordan and left him “speechless” with her grasp of a difficult piece that even accomplished pianists find tricky. Ms Ronan had never had a piano lesson in her life when Mr Jordan cast her as a music-loving vampire in his upcoming movie ‘Byzantine’. The actress will play one half of a mother and daughter duo who arrive in a small English town in the movie, which co-stars Gemma Arterton and begins shooting in the UK and Bray’s Ardmore Studios next month. “There’s this scene in the film where my vampire characters sits down to play an old piano and entrances everyone with her playing,” Ms Ronan revealed yesterday. Mr Jordan had expected the Co Carlow teenager to mime her way through Beethoven’s ‘Piano Sonata Opus 2, No 3’. But he’d underestimated the iron will of ‘The Lovely Bones’ star, who immediately went in search of sheet music for the movement and enlisted the help of classically trained pianist and teacher Yvonne Collier, based in Bunclody, Co Wexford. “My vampire Eleanor is 200 years old in the film and had been playing piano that long, so there was a bit of pressure but I wanted it to look real,” she added. 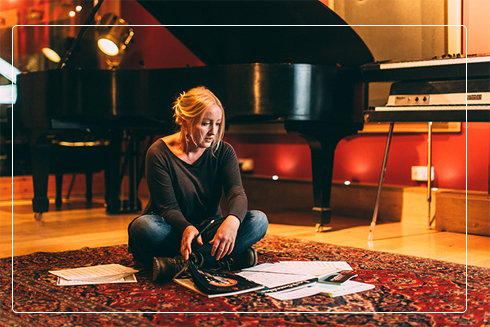 Ms Ronan rented a baby grand piano and began lessons, putting in two hours a day to get the complicated fingerwork just right. And her progress was simply “miraculous”, said Ms Collier, who watched her young protege in amazement as she got to grips with the difficult piece. “I started teaching Saoirse the piano with little exercises so she could learn the notes,” Ms Collier said. “Then we did lots of Lady GaGa pieces before moving on to Beethoven. Since her very first piano lesson it is truly remarkable what Saoirse can now do on the piano. “The E minor middle section of the piece involves the left hand crossing over the right; a technique very difficult to master even with years of experience but one that Saoirse has mastered within a few weeks,” she said. Ms Collier said she was encouraging the young actress to continue with the musical studies she’d shown such an aptitude for. “She can master anything she puts her mind to,” Ms Collier added. Conor Linehan, piano teacher at the Royal Irish Academy of Music, said: “Beethoven’s ‘Piano Sonata Opus 2, No 3’ is real virtuoso piece. Beethoven composed it as a young man and it’s a show-off piece. The idea that anyone could manage to play any part of that in just 12 or so weeks is absolutely incredible,” said Mr Linehan. “I filmed Saoirse playing on my iPhone and when I showed the clip to Neil (Jordan), he was speechless, absolutely speechless. 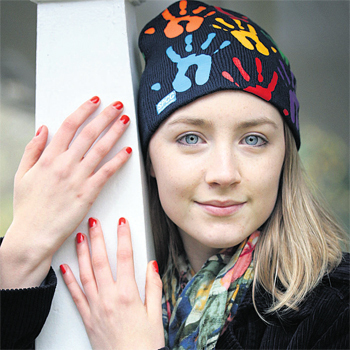 Then he went off and found this Russian piece, ‘Shostakovich Prelude No 2’, in a minor which he also wants Saoirse to play in the film,” said Mr Ronan.